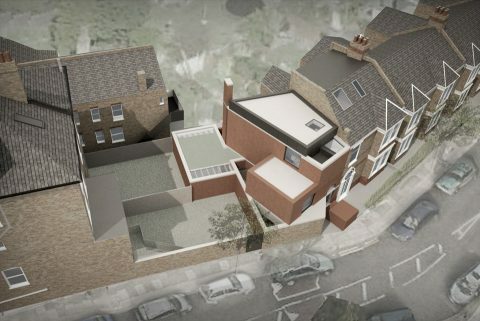 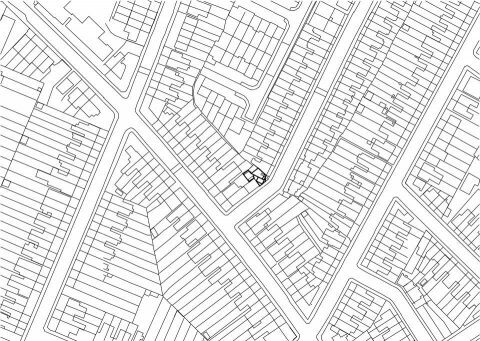 The brief for this new-build in East Dulwich (for Arrant Land) called for a contemporary design which would successfully terminate the terrace whilst also offering living accommodation for the current market. 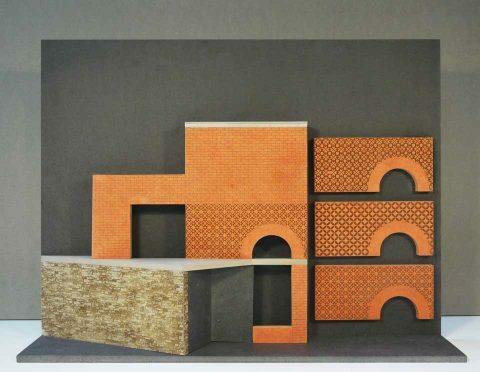 It is one of many projects forming an emerging movement by independent developers to densify London through fine-grain, incremental development. 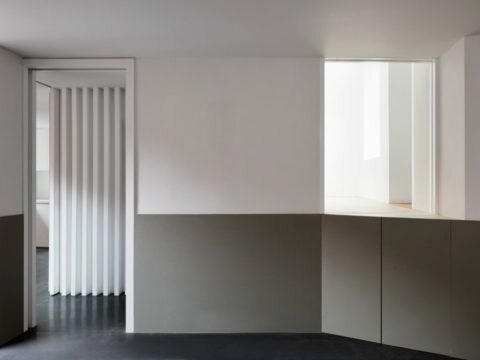 We set out to build an assertive piece of architecture, justly confident of its place in the street without being disrespectful, and sharing something of the spirit, solidity, and decoration of the Victorian surroundings without veering towards any kind of inauthenticity. 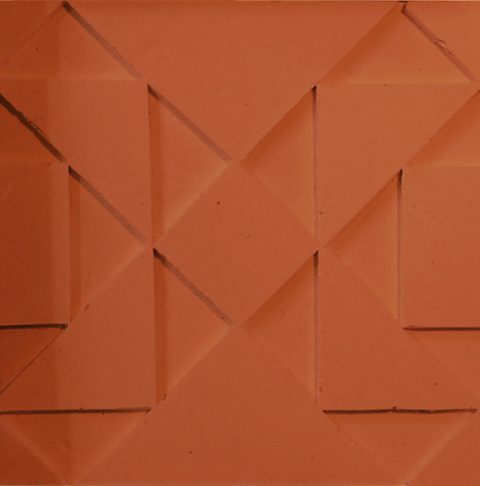 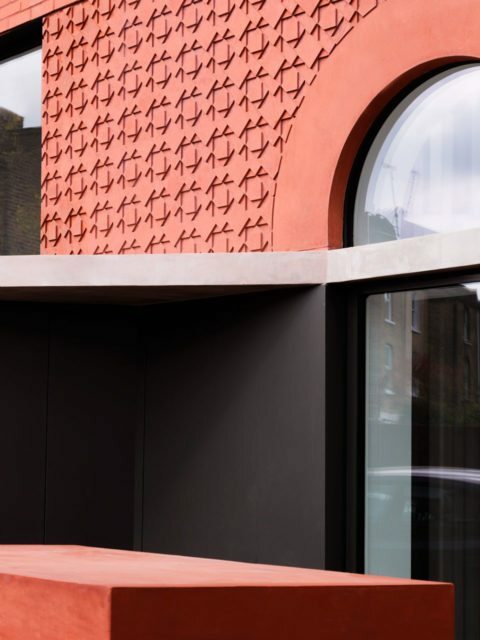 The warm red brick used, and which gives the house its name, is evident as a highlight brick in the existing terrace, but is used here as the main building material to create impact. 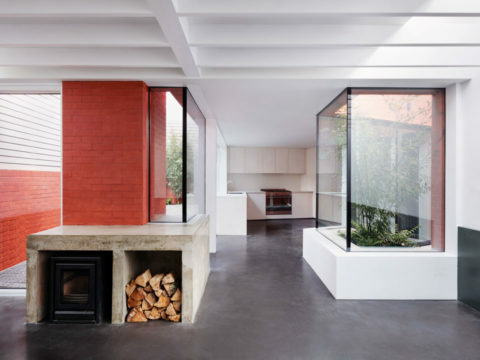 Other elements in the neighbouring Victorian dwellings, such as the arched entranceways and the patterned tiled thresholds, are referenced in the frameless arched window onto the double-height hallway and the load-bearing, pre-cast pigmented concrete panel which sits above. 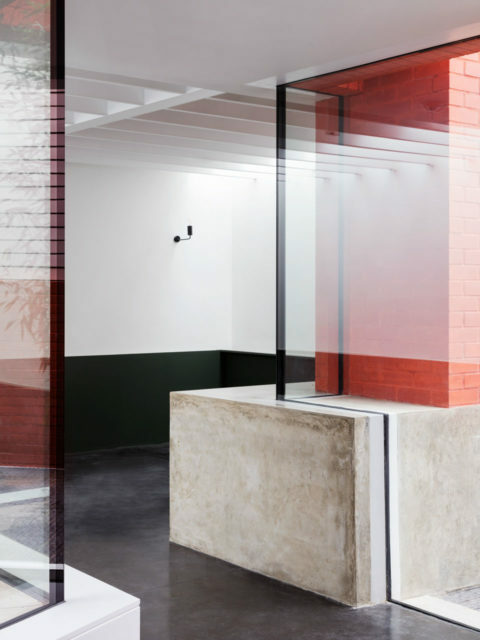 Internally, the scheme resolves complex geometry – imposed by the kink in the road and angled flank of the adjacent house – through an unconventional ground floor that is ‘pushed and pulled’ to create a series of visually connected spaces. 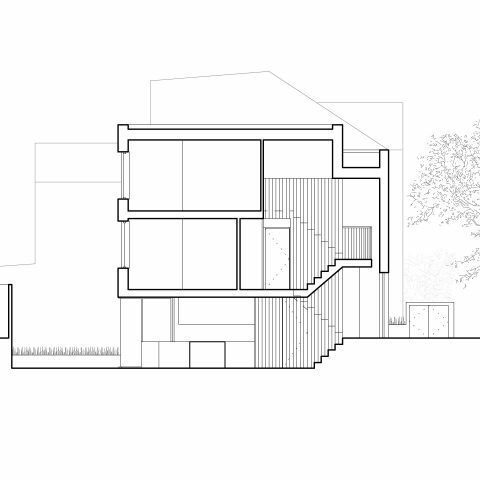 These are then interspersed with courtyards to bring daylight and greenery deep into the plan. 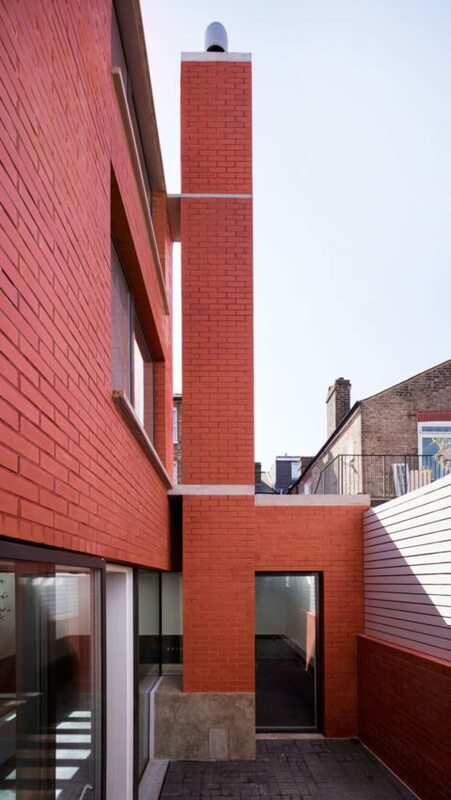 The red brick chimney stack not only provides a pivot point for the geometry of the plan, but also discreetly responds to challenges of privacy and overlooking. 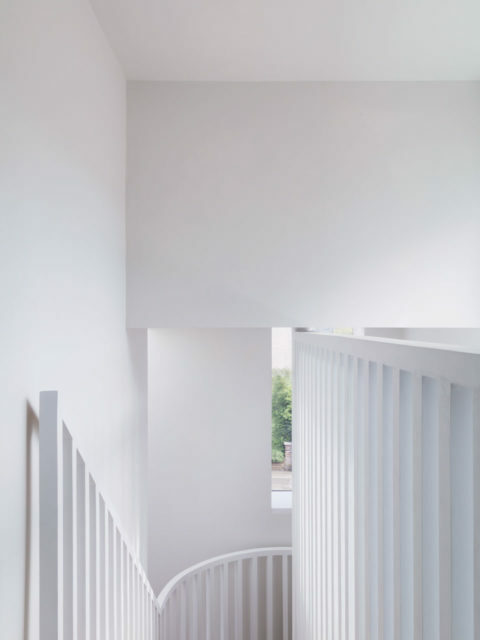 The ambition for this project was to design a contemporary dwelling which references and evolves the character and rhythm of the terrace whilst defying convention. 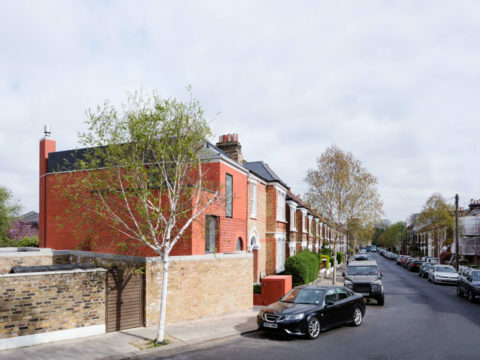 The resultant scheme matches the size, scale and character of the surrounding two-storey dwellings, while providing a 137 sq metre split-level three-storey contemporary home. 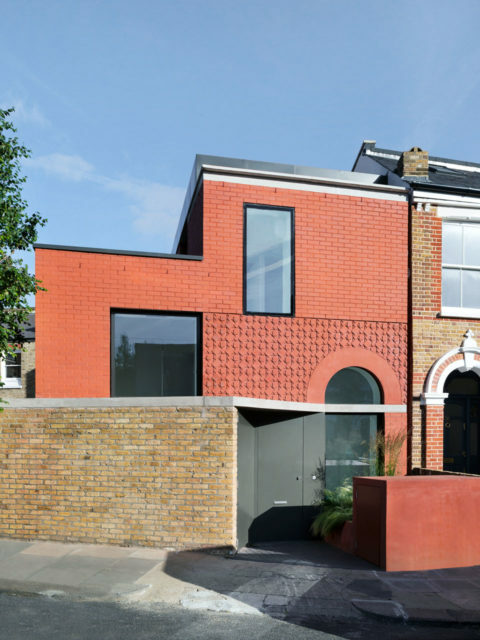 Shortlisted for the Architects’ Journal House of the Year 2017. 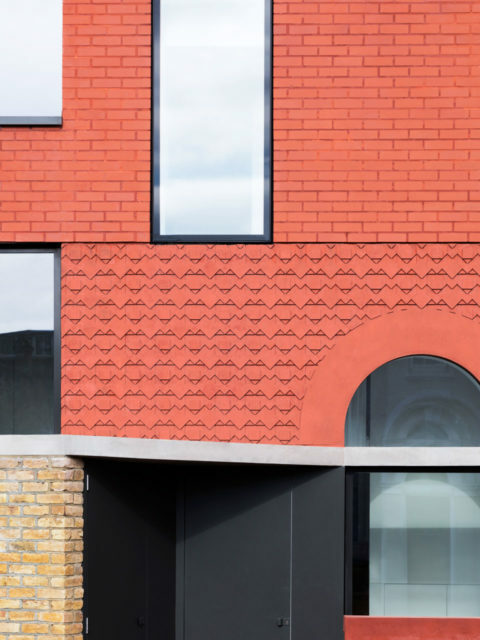 Shortlisted for the Architectural Review Emerging Architecture Prize 2017.